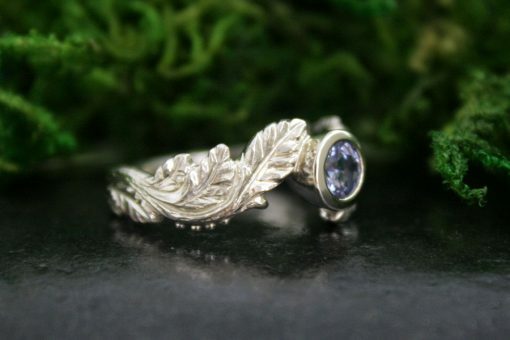 Hand carved alder leaves frame a bezel set light blue sapphire. 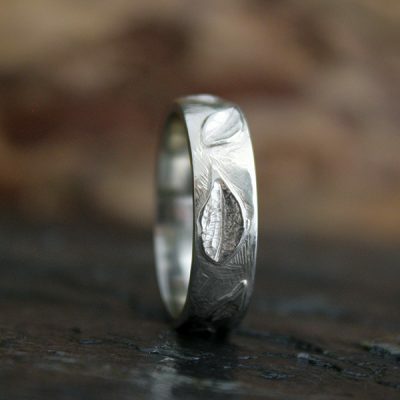 Textured leaves highlighted with little dew drops and a bark textured shank. 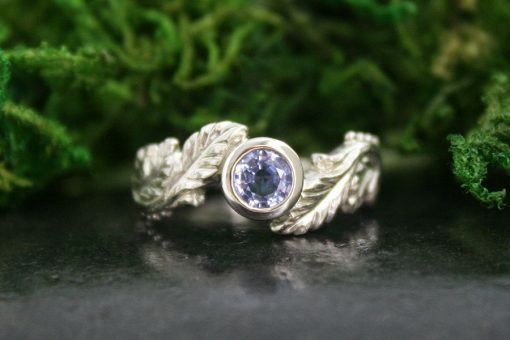 Inspired by the forest on Saltspring Island, and part of my Forest Nymph Line. 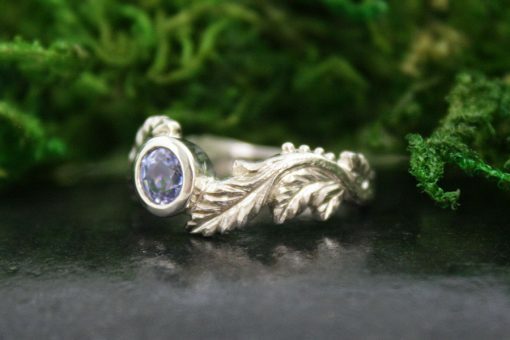 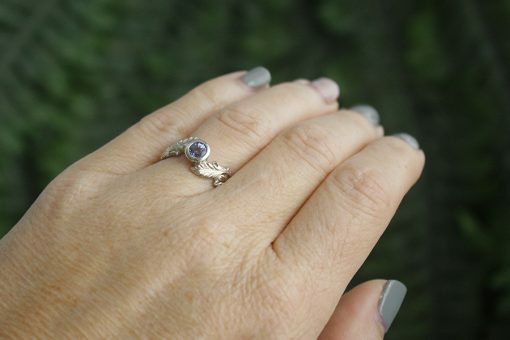 The Alder Leaf Ring is available in white, yellow or rose gold, with sapphire or diamond options. 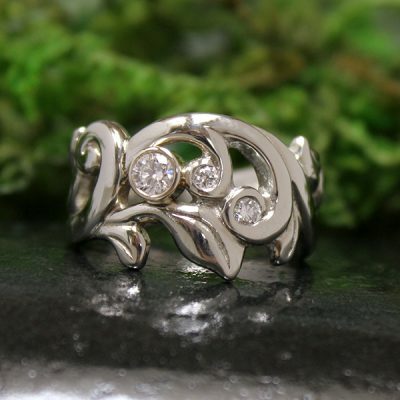 This beauty is available with diamond, ruby, other colours of sapphire and emerald. 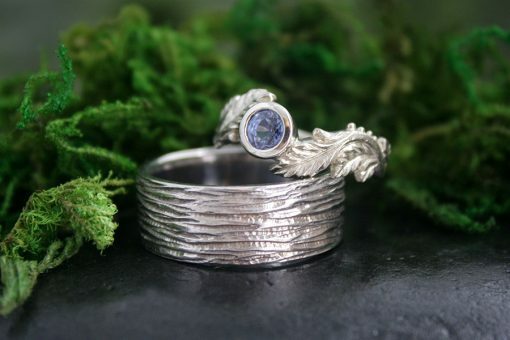 Made to any size!